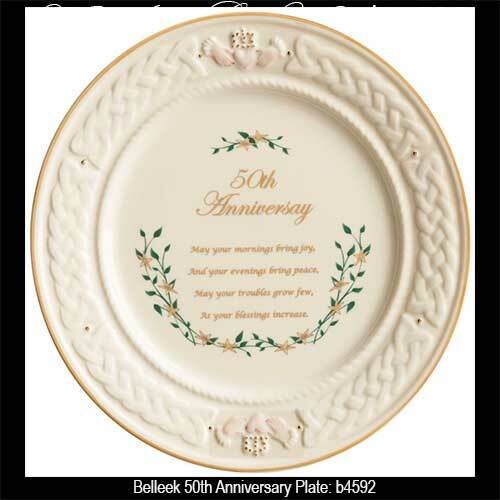 This Belleek 50th wedding anniversary plate was introduced in 2018. 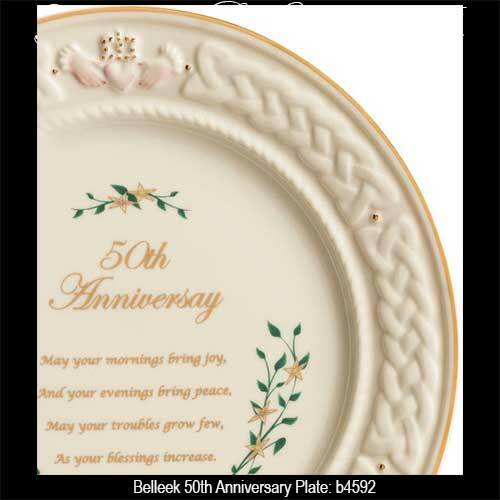 The Belleek 50th anniversary plate features an embossed Claddagh and Celtic knot-work motif along with an Irish blessing that celebrates the joy of marriage. The Belleek blessing plate is made of fine china that is enhanced with gold accenting along with a floral design. The Irish blessing plate measures 9” in diameter and is handmade in Belleek, Ireland.